MOSCOW, October 13. /TASS/. The next launch of a Lotos-S radar reconnaissance satellite aboard a Soyuz-2.1b carrier rocket from the Plesetsk spaceport in north Russia has been postponed over the incident with the Soyuz booster at the Baikonur Cosmodrome on October 11, a source in the space industry told TASS on Saturday. "Due to the incident at the Baikonur Cosmodrome, the nearest launch of the Soyuz-2.1b rocket with the military satellite from the Plesetsk spaceport scheduled for October 19 has been put off indefinitely," the source said. The Soyuz-2.1b and the Soyuz-FG boosters have a similar design of side units of the first stage, the source said. 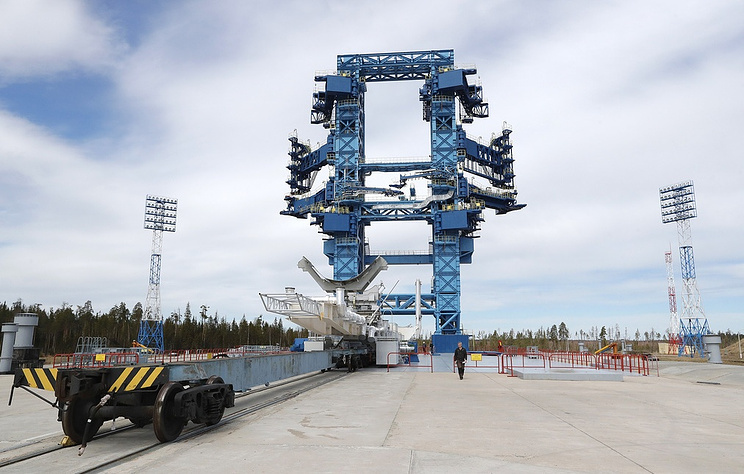 "Considering that problems with one of these blocks were the cause of the Soyuz-FG incident, as preliminary data suggest, the launches of all Soyuz-2 rockets have been suspended," the source said. Another source in the space industry said that a Lotos-S radar reconnaissance satellite was earlier scheduled to be launched into orbit from the Plesetsk spaceport on October 19.